I love Ginkgo 50 by Pure Encapsulations. It really works, I can process so much better now that I am on it. I've been taking this for Idiopathic Edema for the past month. Not sure if it's helping yet. I love and trust Pure Encapsulations as a company, though! As a part of traditional medicine‚ the Chinese and Japanese have used an herb known as ginkgo biloba to promote overall well-being. The leaves in particular may help people remember things during the aging process in some cases. However‚ this tree is also thought to support the lungs and heart. 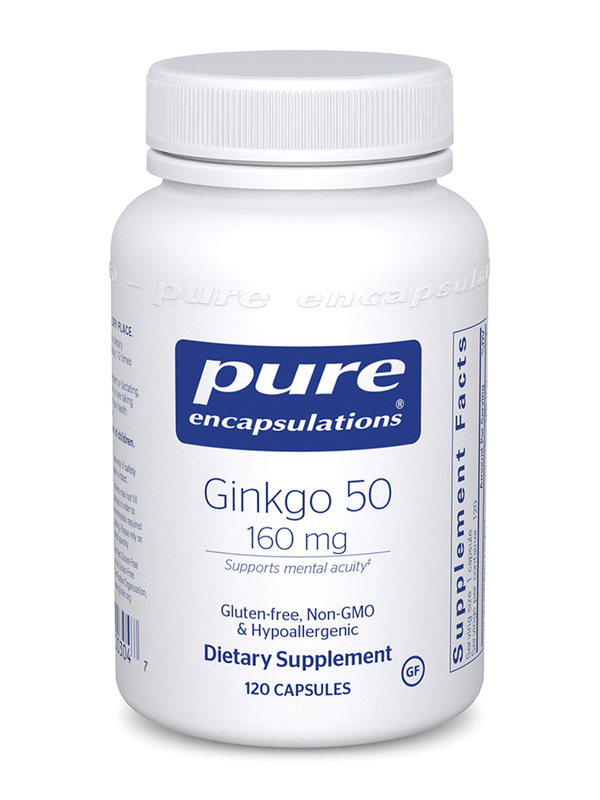 Ginkgo 50 - 160 mg by Pure Encapsulations serves as a convenient source of this herbal extract. It contains the active components terpene lactones and ginkgoheterosides. Both of these can help support the transmission of nerve impulses‚ while simultaneously boosting oxygen and blood flow to the brain. With these increased resources‚ your brain may be able to function more effectively. Specifically‚ Ginkgo 50 may boost memory and cognitive functioning. This may improve your quality of life during work and play! 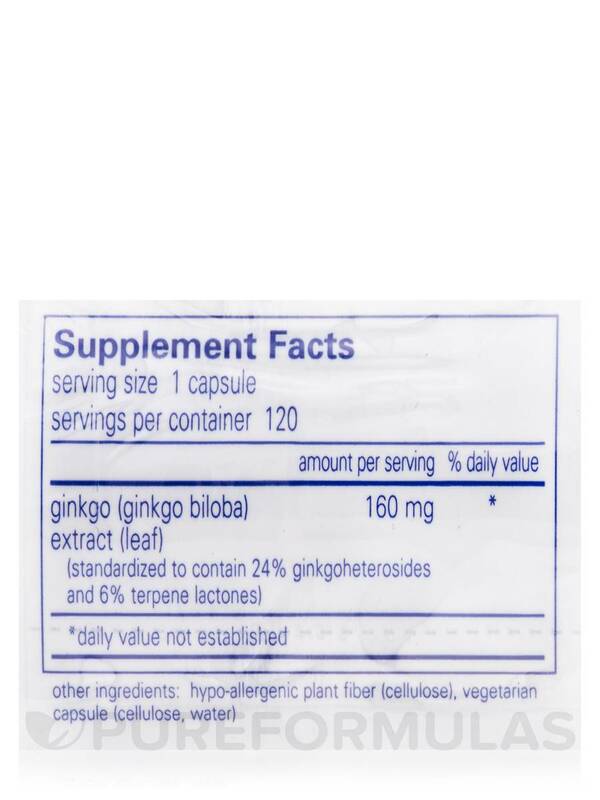 Every capsule contains 160 milligrams of a 50-to-1 ginkgo biloba extract. This supplement has been standardized to ensure that it provides 24 percent ginkgoheterosides and six percent terpene lactones. Furthermore‚ ginkgo biloba can also promote vascular health. It provides nutrients to the capillaries and blood vessels that help keep them elastic‚ flexible‚ and strong. At the same time‚ it can promote the healthy functioning of platelets‚ which are responsible for clotting blood when you are wounded. In addition‚ the main ingredient of Ginkgo 50 may act as a scavenger of free radicals. As a result‚ it might protect your brain and the rest of your body from cellular damage. Take one or two capsules daily‚ in divided doses between meals. 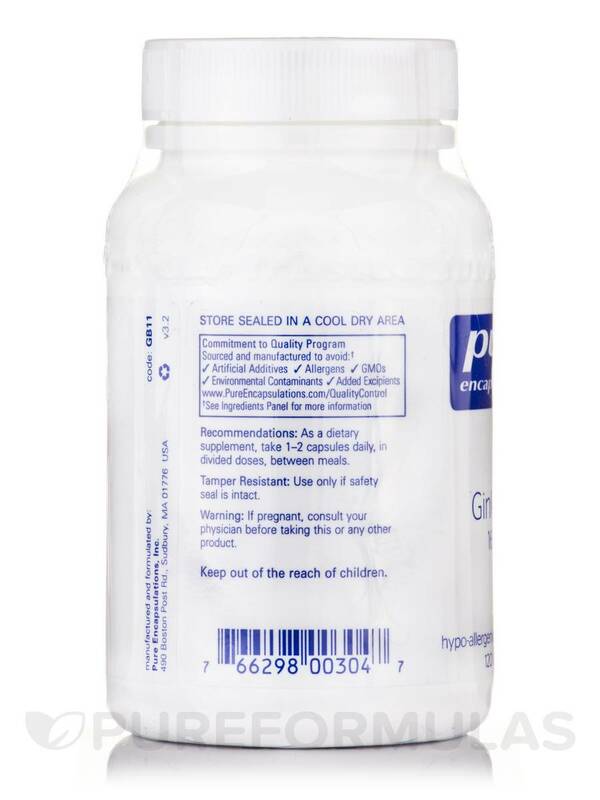 At the recommended dosage‚ each 120-capsule bottle of Pure Encapsulations' Ginkgo 50 - 160 mg should last from two to four months. 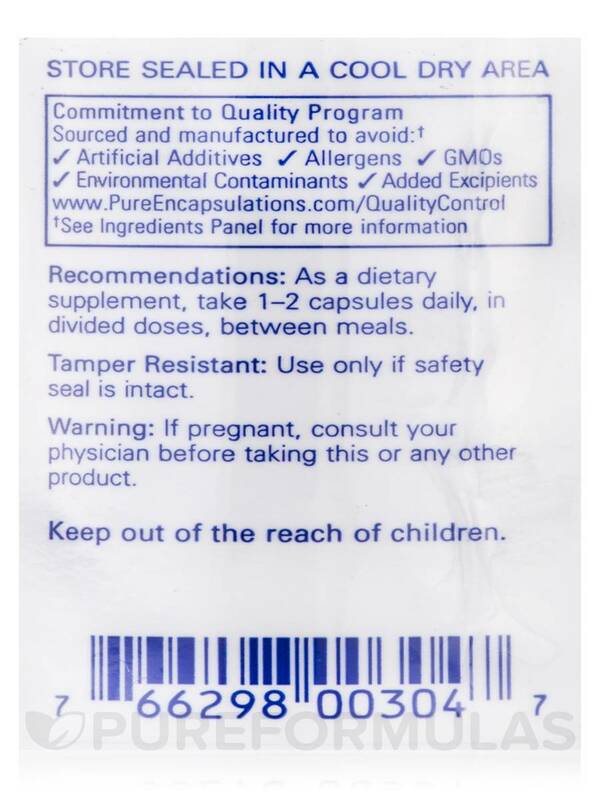 As a dietary supplement‚ take 1-2 capsules daily‚ in divided doses‚ between meals. Ginkgo 50 by Pure Encapsulations was recommended to me by my doctor so I ordered it through Pureformulas. I am thoroughly enjoying the product so far and will continue to use it unless any problems appear. It was recommended by my doctor and it was easy to order online through Pureformulas.com. No one else had the dosage of 160 mg that my doctor recommended, so I really appreciate the ability to order it so easily. Great value & easy to swallow capsules. I take a cocktail of supplements recommended by Dr. Marwan Sabbagh for brain health. Ginkgo 50 by Pure Encapsulations is one of them and it noticeably keeps me sharp everyday. I highly recommend it. Proper dosage for my needs. Good value for the price, free shipping. 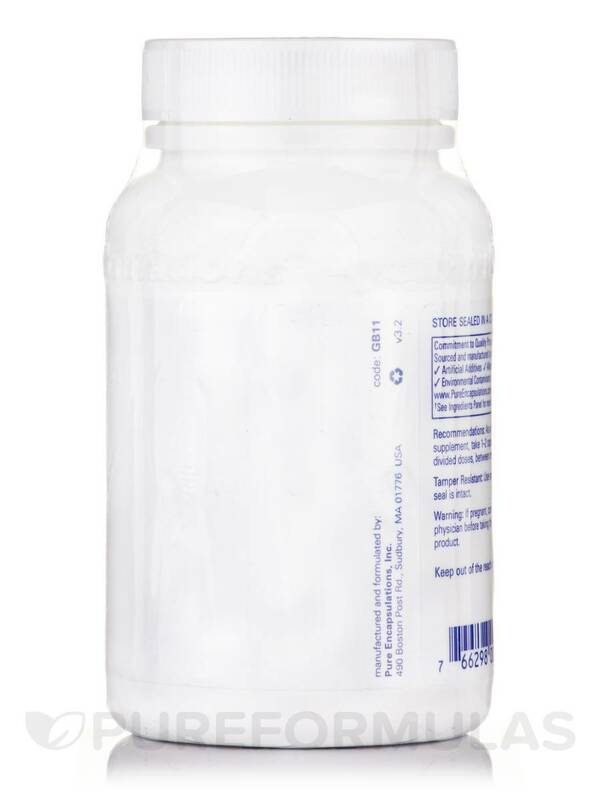 Nice small capsule and the product really works. I feel sharp!